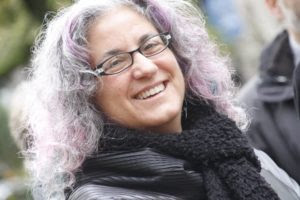 Editor’s Note: We at Tikkun and the Network of Spiritual Progressives are cosponsors and fully supportive of the Poor People’s Campaign led by Rev. Barber. We will soon be sending out an interview we did with Rev. Barber. We hope all our readers and supporters will do what you can to become part of this important initiative! 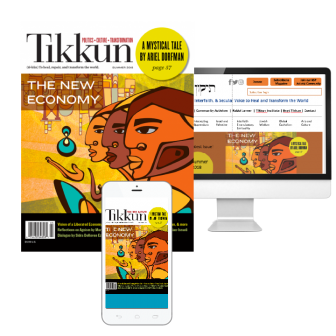 In this article, we present one of many Jewish perspectives on this important work. 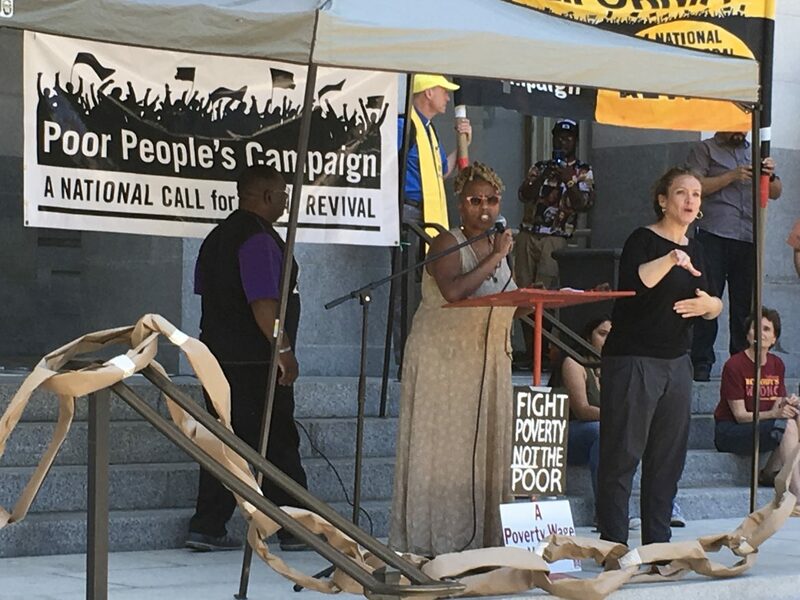 One week from today, Monday May 14, the Poor People’s Campaign: A National Call for Moral Revival will launch across this country. As I prepare for this momentous event, I’m struck by the alignment of Torah and sacred season. This Shabbat when we read of the yovel (jubilee) we also count 42 days of the Omer, representing the intersection of Divine Presence and Righteousness. In the year of the yovel, all are freed: The indentured servant and the one who holds another in servitude, citizen and sojourner, documented and undocumented, wealthy and impoverished. Because he is well with thee’: he must be with [i.e., equal to] thee in food and drink, that you should not eat white bread and he black bread, you drink old wine and he new wine, you sleep on a feather bed and he on straw. Hence it was said: Whoever buys a Hebrew slave is like buying a master for himself. The sages focused on the obligation of slaveholders to treat their slaves/indentured servants well. They required that holiness infuse this relationship. This meant that the person with power and wealth had to be kind and respectful and ensure that all needs of the servant be met. But they also seem to be foreshadowing what modern economists have been expressing in the past few years when they reflect that gross disparities in income and wealth have social and economic costs for everyone — including the wealthy. Proof of this can be seen in the agenda of the World Economic Forum, which has begun to address income inequality — not because activists have taken over, but because industrialists are waking up to the reality that collective economic well-being is harmed by inequality. The same verse in our Torah portion continues, “each man (one) shall return to his (their) ancestral land and family.” Not only are all freed but all financial disparity is erased and each member of the people returns to their original equal holding of property. In this return to equity, balance, and freedom we learn that unfettered accumulation in the hands of the few (a tragedy that results from our modern under-regulated capitalist economy) CAN be checked and reversed. We learn that we can organize our economic lives around a sustainable financial design that invites expansive abundance without the inequities that inevitably result from generational inheritance and accumulation. Inequities that are the heart of American poverty. We are reminded that the land and its riches should not — or perhaps in a holy society cannot — be owned by any particular set of humans in perpetuity. We learn that if we do not ensure this balance we, just like slaves and the masters of slaves, can never be free. Which brings us to the intersection of this Torah portion with the mystical/psychological approach to counting the Omer. This particular approach to engaging the seven weeks between Passover and Shavuot invites us to reflect on 49 ways we can ascend or awaken from the defilement we experienced in slavery. This allows us to arrive at Shavuot free enough, open enough and prepared enough to hear the Revelation/Truth/Holiness of Torah. Similar to the soul inventory we do during Elul before the High Holy Days, this reflection calls us to our best selves, except instead of teshuvah or atonement we are opening ourselves to greater truth. In the kabbalistic system, Day 42 is the intersection of the quality of Malchut, or Divine Presence (Shechina within us), and Yesod, the Righteous One. This intersection is the perfect recipe for HOW we can bring the yovel into being on this plane. Opening to Divine Presence invites us to see/hear/feel the bigger picture: to see all humans as b’tzelem Elohim/created in the image of G-d. To see land and wealth and all of Creation as belonging to G-d and not to humans, so our ownership can truly only be temporary and our wealth truly must be shared. To understand that when we have financial power we must honor, respect and empower those with less than we have. If we stand in our personal righteousness then we are obligated to act on those knowings, as the instructions of yovel make clear. This campaign reflects on the past 50 years and it teaches “that while the U.S. economy has grown 18-fold in the past 50 years, wealth inequality has expanded, the costs of living have increased, and social programs have been restructured and cut dramatically.” There are 140 million people who are poor or low income in the United States today. And transgender people experience poverty at a rate double that of the general population, with transgender people of color experiencing even higher rates. From this and so much more we learn that THIS IS OUR TIME! Fifty years is ENOUGH! In 40 states across the nation those impacted by the four evils of poverty, racism, ecological devastation and militarization are taking to the streets at their state capitals to demand a yovel in this country. On Mondays betweenMay 14 and June 23 we will not be moved. The campaign’s demands are many and are all critical. They include a repeal of the 2017 tax nightmare, reinvestment in social programming, debt relief, single-payer health care, infrastructure projects to support poor and rural communities and so much more. Don’t just read about the yovel this year. Step into the alignment between HaShem’s presence within you and your own personal righteousness, and make the yovel happen. Learn more and get involved in your state here. Rabbi Michael Lerner and Cat Zavis respond to the recent shooting at two mosques in New Zealand by calling not only for messages of solidarity but also for prevalent campaigns against all forms of hatred.